Temple University Press, 9781592136254, 292pp. 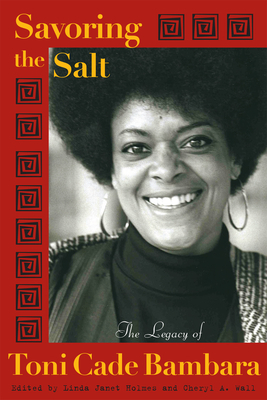 In 'Savouring Salt', a host of poets, scholars, writers, political activists, and filmmakers recall Toni Cade Bambara, a woman whose voice and vision played a vital role in shaping African American culture in the last quarter of the 20th century. Linda Janet Holmes is a writer, independent scholar, and activist. She is also co-author of Listen To Me Good: The Life Story of an Alabama Midwife.Cheryl A. Wall is Professor of English at Rutgers University, and the author of Worrying the Line: Black Women Writers, Lineage, and Literary Tradition, and Women of the Harlem Renaissance. She is the editor of The Writings of Zora Neale Hurston (2 volumes) and Changing Our Own Words: Criticism, Theory, and Writing by Black Women.